A happy marriage seems to only exist in fairy tales in today’s world. The divorce rate is rising each year. If you ask the average married couple, they will admit that divorce has crossed their minds many times. Men are looking for wives who won’t nag and actually understand them. Women are looking for husbands who are sensitive to their needs and actually understand them. 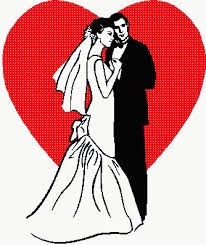 In the end both parties of a marriage are looking for the same thing: a happy relationship. But how can a marriage survive much less be happy in this day and age? Much of it means coming back to the basics of human relationships. The biggest success indicator in any relationship (personal or professional) is good communication from all parties. Looking at the bare basics of it, communication does not involve just talking to someone or keeping them up to date on things. These are important parts, but communication goes much deeper than that. If you’ve never taken a speech/communication class, you should. You begin to learn that communication might involve you speaking, but that is only the beginning. Person A speaks – communication begins. Person B listens (not just hears). Person B communicates verbally or physically that they understand what Person A said (either by acting out or repeating what THEY understood Person A said). If Person B did not understand correctly, Person A would restate in a different manner. If Person B did understand correctly, communication was successful. Words are not merely spoken. They need to be UNDERSTOOD. Parties in a successful marriage not only talk to the other person (instead of assuming that they can read minds) but also listen to what the other person says. Listening involves paying close attention to what is being communicated instead of concentrating on what the reply is going to be. Humans were created with two ears and only one mouth. Therefore, listening should be done twice as often as speaking. If you want to know how good of a communicator you really are, ask your spouse and be prepared for honesty. This is not referring to alone time with each other (which is a different point here), but to actual alone time of the person. There is a time when everyone needs to “get away” from life and that would include the significant other. Sanity is only possible with that. Allow and even encourage the other person to seek alone time. It can be by talking walks, indulging in their hobbies, or even escaping for a weekend to refresh. Sabbaticals from all aspect of life is important to recharge and get your energy back. Though spouse might be gone for this weekend, be assured that if each of you are committed to each other your alone time will be coming soon. Dating should not end when the “I do’s” are said. Dating is a time to get to know each other and grow closer. When the ceremony is over, you are only at the beginning of that journey still. There is a lot more to learn. Be very deliberate to keep dating. In all honesty, that is much easier before children arrive. Once there are others in the immediate family, finding that time to escape with each other will seem impossible. But there are always ways. There is the standard “hire and babysitter and go out” night. Then there is the “lock yourself in the basement” night. And don’t forget the “guilt the grandparents” night. But it can be done. There is a great hub Start a Date Night Babysitting Co-Op on how to raise a family and still get those nights out by working with others in the same boat. I would advise you to check it out and see what ideas could work for you. If there is no respect in the marriage, there is no marriage. Respect means to give special attention or honor to something or someone. It does not mean ridicule or make fun of. With respect, grows love and sacrifice. With respect is given a sense of value by the other person. In all honesty, do you want to be around anyone who does not respect you? In other words think that you are meaningless and not worth their time? Of course not. Respect has to be there for the other person as a person, as a representative of their gender, as a human with feelings like yourself. So how do you have respect? Focus on their good qualities. See where they shine. We can acknowledge the weaknesses without letting them overshadow it all. If you refuse to stand up for your spouse to your “friends” or your family, it cannot be a successful marriage. Now, I’m not purposing that you dump them all or stay in strife with them. But there will come a time you will have to decide between husband/wife or family/friends. If the husband or wife is not chosen, there is no marriage. So many times, the in-laws or the best friends begin a critical attack of the spouse. It might start off subtle, but over time it becomes extremely nasty and ugly. Silence tells your spouse that you agree with the attacks and that you feel the same way. Do you really mean to tell your loved one that? Do you really want them to feel that you don’t like anything about them? Let your spouse know that you care by letting everyone else know that. Your husband/wife has flaws because after all they are mere humans, but they have your love and are important to you. If the others don’t understand this, you might be better off without them. When you go to a gathering, do NOT leave your spouse at the door and only look for them when the night is over. Don’t do the exact opposite either and smoother them with attention and follow their every footstep. But seek them out throughout the event. Even if it is just a gentle touch of the hand as you walk by, it is a message to them that you care and that you are thinking of them. You will not believe how far that will go. It will endear you to them and in all honesty also paves way for intimate moments. When the other half has an interest, encourage them (as long as it is not other men or women). To know that you want them to enjoy sewing, playing baseball, cooking, or fishing causes them to want to spend more time with you and respect your activities. There is a great book called How Full is Your Bucket. The premise of this work is that your emotional well-being is like a bucket. As you are filled (with encouragement), you have more to dip out and share in the happiness with others. Making someone else feel good makes us feel good and the relationship grows and prospers. Laughter heals much, including relationships. When you laugh over things especially yourself, the bond is strengthened. It can be a joke, a moment of your past, a movie, or just the antics of an animal. Laugh till you cry or side hurts. Laugh until you can’t breathe. Laughter helps you physically, emotionally, and spiritually. It goes further than any medicine you may take. There has to be a physical relationship for a happy marriage. I’m not just talking about the extremely intimate aspect of it though that is very important, too. I’m talking about the basic need to be touched. Cuddle. Hold hands. Don’t let a moment pass you by to hug the other person and let them know that you crave that interaction as much as they do. Let them know that you want them in every sense of the word. The most wonderful moments can be just holding each other as you watch a sunrise. Nothing more. Just holding each other. Find those times and don’t let them pass by. The only way for anything in life to be successful is to have humility. Arrogance has no place in marriage. Only when you admit that you are not perfect and that others make mistakes, can you grow and become one. Humility is just not saying “I have faults”. It is willing to accept criticism (done in love!) and be willing to grow. That admits willing attending a marriage counselor if needed, doing studies together to grow, or to just swallow your pride and attend the activity that the other half has their heart set on. Humility is the building blocks for most of our growth as a human being and marriage does not escape needing it.Focus on getting each of these attributes in your marriage and watch how much stronger it grows. If you have trouble achieving any of these, seek out professional help to help guide you down the path.